Would You Give This To Someone You Loved? Poetry is a beautiful way to express how you feel. But at the same time it is not something we usually advertise. Well at least not me. In today’s culture it’s flowers, chocolate, or gifts that express our affection, a far cry from the past where music and words penned on paper were the norm. We can write poetry ourselves and we can read it, but one of the most beautiful moments is when we give or receive it. Here are some cheesey lines of poetry some of us wouldn’t mind getting. 7. She was beautiful, but not like those girls in the magazines. 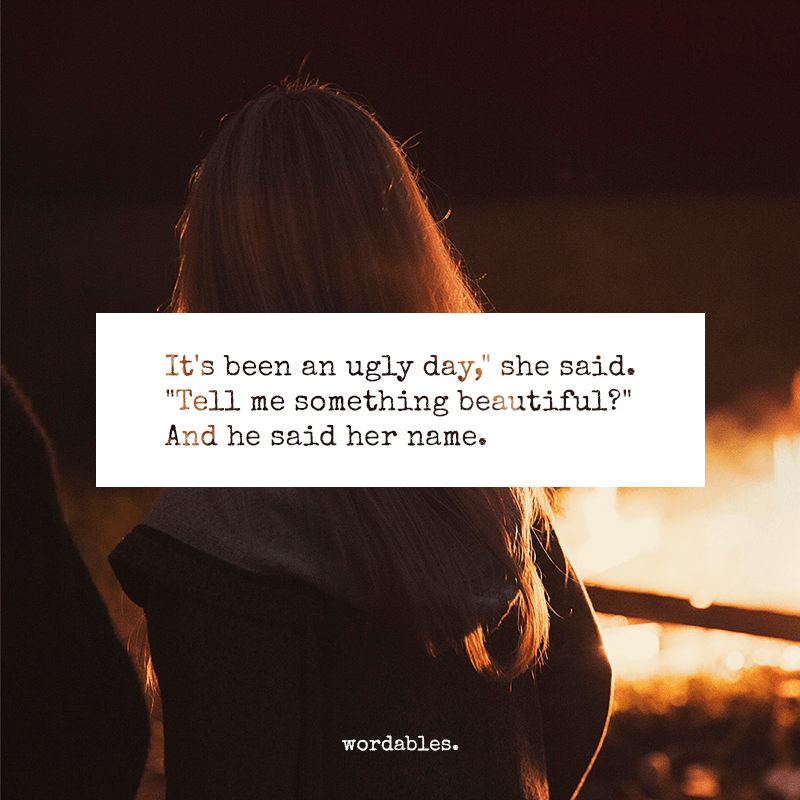 She was beautiful, for the way she thought. She was beautiful, for the sparkle in her eyes when she talked about something she loved. She was beautiful, for her ability to make other people smile, even if she was sad. No, she wasn’t beautiful for something as temporary as her looks. She was beautiful, deep down to her soul. She is beautiful.